Arriving at Oakley Plantation on June 18, 1821, the young aspiring naturalist John James Audubon wrote: "The rich magnolias covered with fragrant blossoms, the holly, the beech, the tall yellow poplar, the hilly ground and even the red clay, all excited my admiration." Audubon's stay at Oakley lasted only four months, but he painted 32 of his famous bird pictures here and developed a love for the beautiful West Feliciana Parish. Mrs. Lucy Pirrie brought the young Audubon to Oakley as a tutor for her daughter, Eliza. The arrangement required that Audubon spend half his time teaching drawing to Eliza, but he was otherwise free to roam the woods and work on his naturalistic paintings. For this Audubon was to receive 60 dollars a month plus room and board for himself and his 13-year-old pupil assistant, John Mason. Audubon returned at a later date to join his wife, then teaching there, and his son. He wrote, "Numerous pupils desired lessons in music, French and drawing. . .the dancing speculation fetched two thousand dollars; and with this capital and my wife's savings I was now able to foresee a successful issue to my great ornithological work." This work was later to become Audubon's famous Birds of America. Oakley Plantation House is located in the Audubon Memorial State Park in West Feliciana Parish. 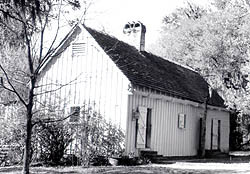 Construction on the house began in 1799, when Ruffin Gray, a successful planter from Natachez, Mississippi, moved here on land purchased from the Spanish authorities. Gray died before the house was completed, and his widow Lucy Alston oversaw its completion. She later married James Pierre of Scotland. Eliza, the daughter of James Pierre and Lucy, was born here in 1805, and it was her future education that introduced Audubon to the Felicianas. Oakley's interior has been restored to the Federal period style (1790-1830), reflecting its appearance when Audubon stayed here. The three-story home expresses the colonial architecture adapted to the geographical location. Oakley Plantation House contains 17 rooms, with front and side entrances leading to the landscaped grounds, which are shaded by oak and ancient crape myrtle trees. 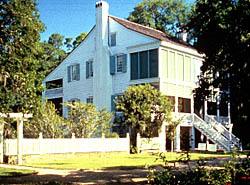 Oakley Plantation House, within Audubon Memorial Park, is located 41/2 miles southeast of St. Francisville on State Hwy. 965., off US Hwy. 61. It is open 9:00am to 5:00pm daily, there is a fee for adults, but children under 13 and seniors are free. Call 225-635-3739 for more information or visit the park's website.